FOFA’s Advisory Board consists of an international panel of experts of extraordinary talent and stature. It includes acclaimed scholars, artists, curators, researchers, and writers – united by their love of the popular art of Oaxaca and their wish to sustain the remarkable artists who create this work. After graduating from Oberlin College in 1967, Lucy left the US to reside in Mexico, with which she had fallen in love when a volunteer with American Friends Service Committee in 1965. She began her professional career as chief of the Psychology Department at the National Institute of Perinatology in Mexico City where she directed both psychosocial research projects and clinical services for 14 years. She ran a research-action program at the Population Council in Mexico City on the adverse consequences of unsafe induced abortion. Starting in 1992 she managed the sexuality and reproductive health program of the Ford Foundation Office for Mexico and Central America, where she oversaw the funding of programs focusing on promotion of gender equity and sexual and reproductive health and rights. In 2000, Lucy returned to the US to became Director of the Margaret Sanger Center International, where she managed regional sexual and reproductive health programs in Southern Africa, Asia, and Latin America and the Caribbean. She currently lives half the year in San Pablo Etla, Oaxaca, Mexico, engaging in consulting work on projects that work towards gender equity, sexual empowerment, and rights and sustainable development. Her passion for folk art led her to become involved with FOFA as an advisor. Linda was born in California in 1946 and lived in the Bay Area and Northern California where she became interested in raising sheep, spinning and dying wool, and weaving. She devoted 15 years to this while raising her daughters. After completing a degree in Spanish, she taught bilingual education in Richmond, California. In 1997 Linda moved to Oaxaca with the intention of staying one year to improve her oral Spanish for teaching, but she never returned. Becoming immersed in the folk arts of Oaxaca -- especially the textile arts -- she bought a home in San Andrés Huayapam (in the environs of Oaxaca City) in 2001, and in 2005 opened it as a B&B entitled Casa Linda. Since 2006 Linda has had the important role of coordinator for Oaxacan artists who participate in the annual Feria del Maestros del Arte held in Chapala, Jalisco. Linda comments that she is “probably most enthusiastic about her triplet grandsons” who also live in Oaxaca. Leovigildo, born in 1959 in Oaxaca, Mexico, is considered a member of the “Oaxacan School” magical realist style. Apart from numerous exhibits in Mexico he has also exhibited in California and New York. Leovigildo is the illustrator of three children’s books of Oaxacan folk tales: 25 Mixtec Cats, Uncle Snake and The Moon Was at a Fiesta (Tambourine Books). He studied art in Oaxaca at both the Centro de Educación Artístico de Oaxaca and the Taller de Artes Plásticas Rufino Tamayo. Carlomagno is a renowned ceramic artist whose distinctive work has been exhibited in Mexico, the U.S. and Europe. His pieces are primarily based on local legends and myths, some inspired by local festival and carnivals; another theme that recurs in his work is death, but they are not dramatic or grotesque. Despite his formal training beginning at age 18 in the Rufino Tamayo Workshop, a prestigious art school in Oaxaca City that enabled him to bridge the gap between handicrafts/folk art and fine art, he maintains close ties with his indigenous background, living in the pueblo of San Bartolo Coyotepec, where he was born, with its black clay tradition. His work has been celebrated with numerous prestigious awards, the 2014 Mexico’s National Prize for Arts and Sciences in the popular arts and traditions category, foremost among them. Others are First Place in Sculpture, Gran Premio de Arte Popular in Querétaro in 1986, Premio Nacional de la Juventud en Artes Populares in 1988. His work has been featured in five published catalogs and numerous books on popular art, including the Great Masters of Mexican Folk Art. 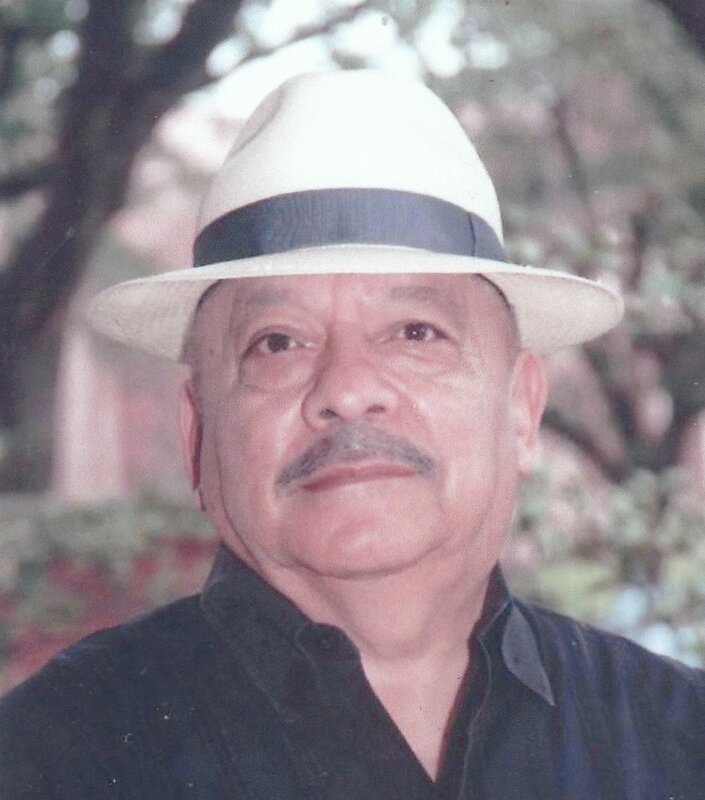 Carlomagno’s pride in his personal and artistic heritage fueled his commitment to enhancing the visibility of work by his fellow Oaxacan artesanos, estimated to be as many as 20,000. Until the 1990s they did not have a unified site where visitors could see their work. Not only had the art not been formally displayed but, when shown, pieces were often presented anonymously. In 1996 Carlomagno changed that, gaining the support of his village government to open the first municipal museum showcasing folk art of the state of Oaxaca, each piece signed by its creator. In 2004 this became the State Museum of Popular Art (Museo Estatal de Arte Popular Oaxaca, MEAPO) with Carlomagno as its director, which he continues to be today. Since 2008 Carlomagno and his staff at MEAPO have been major collaborators with FOFA. Together they have carried out contests for young artists and exhibitions and catalogues that result from these contests. Chloë Sayer is an independent scholar, lecturer, and curator. A specialist in the art and culture of Mexico, she has made ethnographic collections and carried out fieldwork in Mexico and Belize for the British Museum. She has also worked extensively in Canada with Toronto's Royal Ontario Museum, where she is a Research Associate in the Department of World Cultures. She has worked on television documentaries about Mexico for the BBC and Channel 4, and leads cultural tours to Oaxaca. Her many books include Crafts of Mexico (Aldus Books, 1977), Mexican Textiles (British Museum Press, 1990), The Arts and Crafts of Mexico (Thames & Hudson, 1990), Mexican Patterns: A Design Sourcebook (Studio Editions, 1990), Textile from Mexico (British Museum Press, 2002), and Fiesta: Days of the Dead and Other Mexican Festivals (British Museum Press, 2009). In 2015 she curated an exhibition of Mexican textiles and wrote the accompanying book Mexico: Clothing and Culture (Royal Ontario Museum, 2015). She has written essays for Artes de México, Selvedge, and other journals. Chloë Sayer has been documenting the popular arts and culture of Oaxaca since the early 1970s. Her admiration for the cultural continuity and immense skill shown by Oaxaca's many makers and creators has informed her writing and her work over several decades. Chloë has served as a juror in all four of FOFA’s young artists’ competition. Toledo is Mexico’s most famous contemporary graphic artist, as well as a major contributor to Oaxaca’s social and cultural life and its environmental preservation. Born in Juchitán, Oaxaca in 1941, Francisco studied at the Escuela de Bellas Artes de Oaxaca and graphic arts at the Centro Superior de Artes Aplicadas del Instituto Nacional de Bellas Artes, México with Guillermo Silva Santamaria. In 1960 he moved to Paris from which he traveled throughout Europe. Toledo’s outstanding creativity has been expressed in pottery, sculpture, weaving, graphic arts, and paintings. He has had exhibitions in Argentina, Brazil, Colombia, Ecuador, Spain, Belgium, France, Japan, Sweden, the United States, as well as other countries. Returning to Mexico in 1965, Francisco started to promote and protect the arts and crafts of his native state of Oaxaca; he designed tapestries with the craftsmen of Teotitlán del Valle and encouraged a revival of natural dyes. His social and cultural concerns about his native state led to his creation and/or participation in many invaluable projects, to name a few: the Instituto de Artes Gráficas de Oaxaca (IAGO) in 1988 with its important art library; his involvement in founding of the Museum de Arte Contemporaneo de Oaxaca (MACO); the Patronato Pro-Defensa y Conservación del Patrimonio Cultural de Oaxaca; a library for the blind; a photographic center; the Eduardo Mata Music Library; and an outstanding art multi-media art school, the Centro de Arte San Agustín (CASA). Marta is a Mexican applied anthropologist specializing in Mexican folk art and socio-economic development. She heads CENIDEART, the Research Center at the Escuela de Artesanías (School of Crafts) of the National Institute of Fine Arts (INBA) and is curator for the Ruth D. Lechuga collection of Folk Art that was donated to the Franz Mayer Museum. She has worked in Mexican federal government agencies focusing on public policy, such as the National Indigenous Institute, the Popular Cultures office (which she headed) and FONART (where she was sub-director for training and social programs). She founded AMACUP, a non-profit NGO that developed products based on traditional techniques with contemporary styles. She has also curated exhibits for the Franz Mayer Museum such as Lacas Mexicanas, De Juguetes y mas, El sarape de Saltillo: enigma y huella, Cerámica de Mata Ortiz: Renacer de una Tradicion, Living Traditions: Mexican Popular Arts for SUNY Albany and recently the Museum of the Sarape and Mexican costumes in Saltillo. Among her publications are Como Acercarse a la Artesanía (How to Approach Crafts), El Caracol Purpura: Una Tradición Milenaria en Oaxaca (The Purpura Snail: A Millenary Tradition in Oaxaca), El Ropero de Frida (Frida’s Wardrobe), as well as numerous articles in Artes de México. She wrote an essay on Metepec for Ceramic Trees of Life coordinated by Lenore Hoag Mulryan. She has been a pioneer in the areas of symbolism in textiles (in Chiapas), marketing training for craftspeople, artisans and the environment, and has been a juror for 40 years in various Mexican crafts contests. Los Amigos del Arte Popular presented her the Van Deren Coke lifetime achievement award in 2005. Marta’s work in Oaxaca has included lobbying for the preservation of the purple snail and the related indigenous culture, for which she shared the Música de la Tierra award in 2006; in the area of design and marketing with Huave, Mixtec, Amusgo and Mazatec coops, also sharing the 1st place award with Amacup for Marketable crafts in the V National contest in 1997, and she received a Special Award in the Unesco DeFacto Salon in 2002. Marta, an experienced juror, has played an extremely important role as a juror in all four of FOFA’s young artists’ competitions (2008, 2011, 2013, 2016). 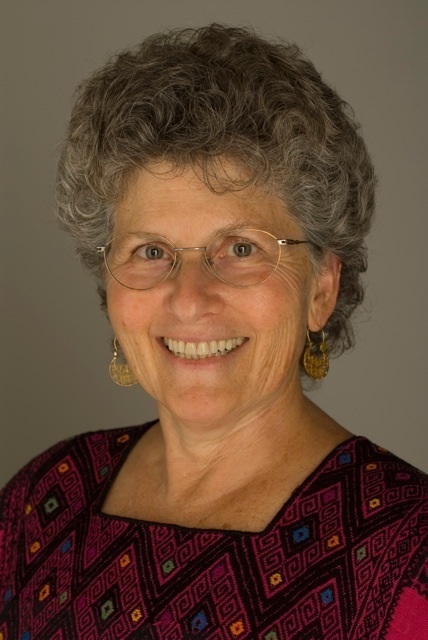 Cindy, along with Arden Rothstein, was one of the founders of FOFA. Cindy first visited Oaxaca in 1996 while she was living in Mexico on the Fulbright Teacher Exchange.Cindy holds a doctorate in education from Teachers College, Columbia University and masters degrees in education from the University of Pennsylvania and art history from Wesleyan.Her dissertation research was conducted in Oaxaca in collaboration with the Aguilar sisters, ceramists considered Mexico’s most important female folk artisans. She is the author of the “Children’s First Concept Series,” a group of books that uses Oaxacan folk art to illustrate bilingual language concepts for children. The books in the series are,ABeCedarios(alphabet) –with wood carvers Moíses and Armando Jiménez –Opuestos(opposites) –with carvers Martín and Quirino Santiago –Colores de la vida,Count me in!with the Aguilar Sisters,My Skeleton Familywith Jesús Canseco 2013 -Animal Talk2016 with Rubí Fuentes and Efraín Broa and Let’s Work!withFlavio Gallardo(Cinco Puntos Press 2007, 2009, 2011, 2012, 2014, 2016, 2019) have won numerous awards and helped to create a more sustainable market for the artisans. She is Director of the Center for Children’s Literature at Bank Street College of Education. Tomás is the former Associate Director for Creativity & Culture at the Rockefeller Foundation. His work with the foundation included the Humanities Residency Fellowship Program, The Recovering and Reinventing Cultures Through Museums Program, The U.S. Mexico Fund For Culture, and Partnerships Affirming Community Transformation (PACT). Prior to joining the Rockefeller Foundation, Tomás was a tenured professor at Stanford University in the Department of Spanish and Portuguese. He has served as the Chair of the Mexican Museum in San Francisco and the Smithsonian Council, and has written and published extensively, focusing—for the most part—on Latin American and U.S./Latino cultural issues. Tomás’s outstanding contributions have been widely recognized. To name a few, in 1998, he was awarded the Henry Medal by the Smithsonian Institution. In 2007 the Mexican Government bestowed “the Order of the Aztec Eagle” on Tomás for his lifetime achievement in building mutual understanding between Mexico and the United States through the art and humanities.